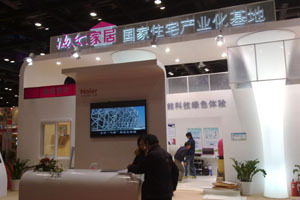 Brief：Established in 2002, China International Expo of Housing Industry (CIEHI) is the largest and most influential housing industry exhibition in China under the Chinese Ministry of Housing and Urban Development. 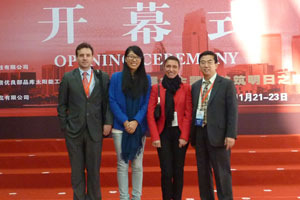 China International Expo of Housing Industry (CIEHI) opened on 21st November with the theme of “Establishing Better Housing for Tomorrow, Developing Low-Carbon Economy”. 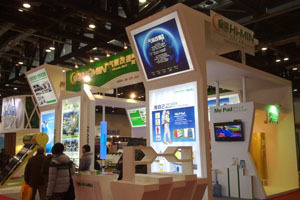 The expo attracted over 300 enterprises from more than 10 countries and regions, occupying an exhibition area of 18,000 m2 in the China National Convention Centre opposite the Bird Nest of the Olympic Stadium in Beijing. 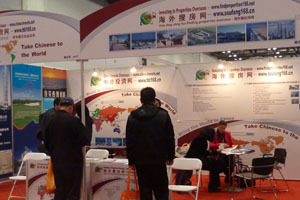 China Business Network (CBN) was invited by the organisers to support the exhibition with the most relevant projects of China Invests Overseas (CIO) and Find Properties Overseas (FPO) that brought many excellent overseas investment projects such as Invest in West Australian Tourism, Emerald Beach Resort & SPA from Bulgaria,Four Seasons Resort & Private Residences in Barbados, INTO Property of Cyprus, Ocean’s Edge in Thailand, Violante Realty of Italy and Pablo Don Thomas luxury villas and resort in La Gomera of Spain that attracted many interested investors from all around China. 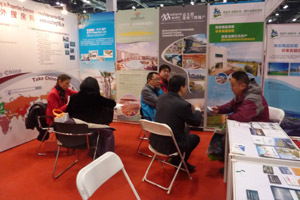 As a perfect residential village offering the best quality of life to be found in the Canary Islands, Pueblo Don Thomas attracted a lot of interest among Chinese investors. Ms. Camilla Von Guggenberg, Marketing & Sales Director of Pueblo Don Thomas, believed that this promotion in CIEHI could receive perfect responses. 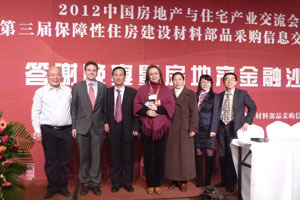 CIEHI also held a series of conferences and seminars. 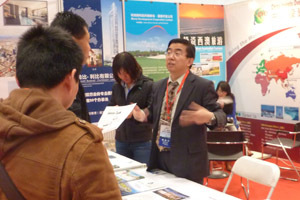 The most influential one was the conference of “Bridging Real Estate and Finance Industries” which attracted industry leaders from both property development and finance to share their experience and opinion. 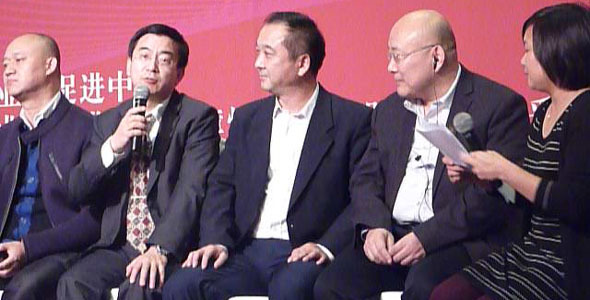 Dr. Adam Wu, COO of China Business Network was asked to speak on Chinese government policy of "go global" and what destinations are attracting Chinese investors, developers and suppliers. 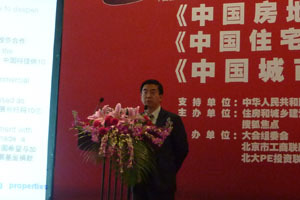 Dr Wu used the Caribbean as an example to demonstrate the attraction and opportunities that overseas destinations offer to Chinese investors and businesses. 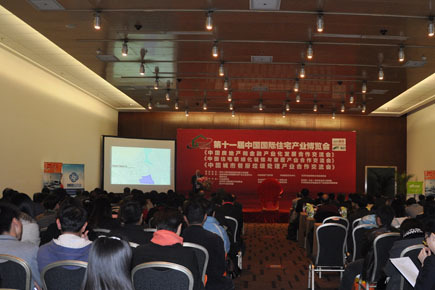 China Business Network and its China Invests Overseas portal function as facilitator and bridge between China and other parts of the World with the slogan “Bring the World to China, Take Chinese to the World”. The first day of the CIEHI ended with a Gala Dinner at the famous Nine Dynasty signature Building featuring Chinese arts and culture as well as performances. 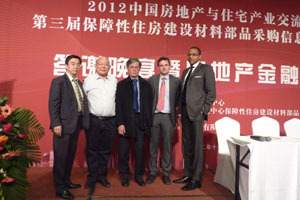 The dinner was attended by senior officials, business executives as well as foreign dignitaries. 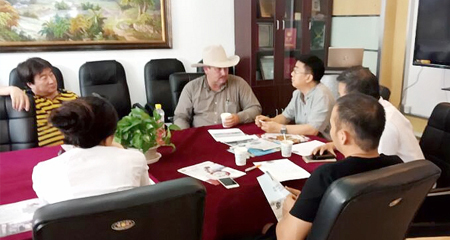 During the dinner industry expert were invited to have a live discussion about the future state of the housing and real estate industry.